Ty Segall (born 1987) is an American musician and songwriter. He sings, drums, and plays guitar. He has released eight solo albums and is a member of the bands Fuzz, The Traditional Fools, Epsilons, Party Fowl, Sic Alps, The Perverts, and Ty Segall Band. Segall began his recording career as a part-time musician in various underground bands in Orange County and the San Francisco Bay Area, before beginning a solo career in 2008. Segall's first solo release was the cassette Horn The Unicorn released on the Wizard Mountain label (later re-released by HBSP-2X on vinyl record). Around the same time Wizard Mountain also released a split cassette featuring Segall and the band Superstitions entitled Halfnonagon. 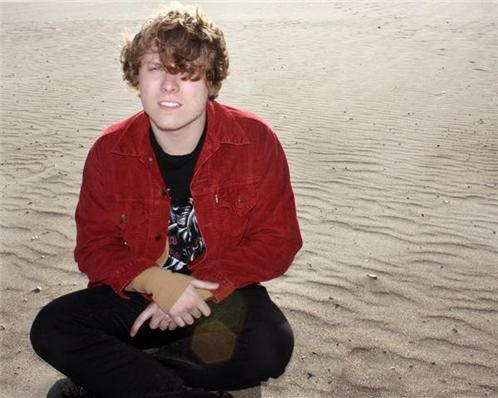 Segall's next album entitled Ty Segall was released on Castle Face Records in 2008. The album was followed by a string of limited 7" singles and a split LP with the band Black Time. In 2009, Lemons was released by Goner Records to positive reviews. This release was followed by another string of successful and limited 7" singles and the LP Reverse Shark Attack an album with longtime collaborator Mikal Cronin. When questioned in regards to his sixth LP, Twins, Segall stated; "I want to do a total glam Stooges-meets-Hawkwind or Sabbath, something like that. I think that would be super fun. I want to throw people off. I want to make a really heavy record: evil, evil space rock. Put a little Satan in space and you got the sound." 2012 saw the release of three full-length albums: Hair, with White Fence, released in April, Slaughterhouse, recorded with his touring band and released June 26, as well as one solo album, Twins, released on October 9. In 2013, Segall started a new outfit called Fuzz, releasing two 7" singles. A full-length album was recorded in May and should be released later in 2013. That same month, Segall announced the release for his next solo studio album, SLEEPER, scheduled for August 20.